Acting is a skill that not many can pull off easily, the ability to contort your face to express emotions that you may not necessarily be feeling is in itself, quite a feat. Now, the art of voice acting is much more a difficult thing to do. As a voice actor, you will be required to convey a lot via your voice without the added benefit of body language to deliver stellar performances. To be a successful voice actor requires talent and a lot of hard work, Monica Rial is one of the few who have carved a niche for themselves in the world of voice acting. Tag along and learn more about this talented woman. Monica Jean Rial is a voice actress who was born on the 5th of October and in the year 1975. Her place of birth was in Houston, Texas. As a child, she would go on trips with her family to her father’s native home in Spain. While they were away in Spain, Monica would help her brother understand the cartoons that were voiced in Spanish by translating them to English, sometimes mimicking the characters. Details about her parents are currently not available to the public but it is known that her father is originally from Spain. As a child, she took a number of classes in ballet dancing, tap dancing, and Jazz. 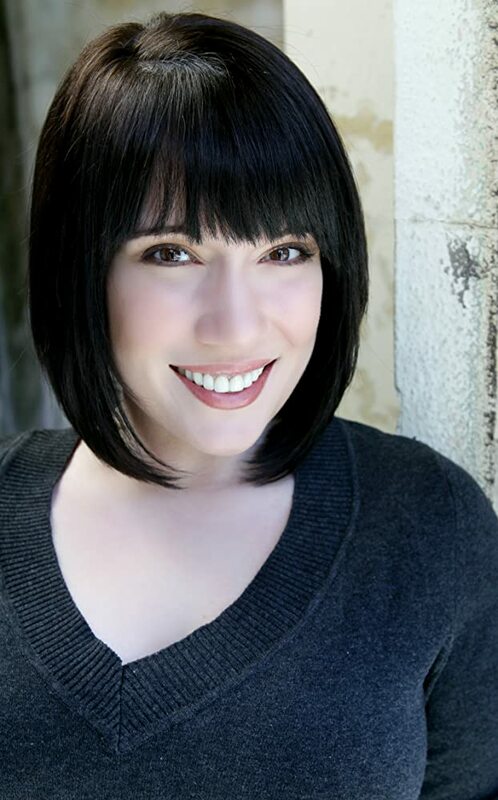 At the age of 12, Monica Rial decided to switch to musical theatre. Her foray into theatre and acting lasted all through her formal education, including the University of Houston. Her first job as a voice actress came in 1999 and it was for an ADV film, Martian Successor Nadesico, This was just the starting point in her career as she started to get voice acting roles in other movies mostly animes and ADV film. Rial has also worked as an ADR director and scriptwriter. Her career has lasted for a period of two decades and she is still making a name for herself in the voice acting industry. In the period of twenty years that she began to work on movies, she has been a part of the creation of over fifty such films – either voicing characters, writing the script, or directing, some of which include Dragon Ball Z Kai Noir, Najica Blitz Tactics, Fullmetal Alchemist, Rumbling Hearts, Shimoneta. It is not uncommon or unfounded for actors and actress to seek out the works of other actors as sources of inspiration for their own endeavours, especially if these other actors have performed in films similar to that which they are cast for. For Rial who is a big fan of The Simpsons and Family Guy, these television shows are a source of inspiration for her work. In an interview, Rial stated that she got into the job of voice acting by mistake which turned out to be a happy accident. Her dream of stage acting was put to the side after a friend suggested she attend an audition for voice actors, which she did and thus began her career. Monica Rial is one of the not too many celebrities who are active users of social media. She’s fond of interacting with fans and announcing developments in her career on various online platforms. Monica has over 50,000 followers on Twitter and almost the same number on Instagram. To be in daily correspondence with her or find out more about her private life, you can follow her at Rialisms on Twitter and Instagram. Monica Rial is such a versatile voice actress who has voiced over twenty characters in her career, sometimes more than one character in the same movie. Providing her vocal talent to animated films and animes is not all she does, she has also worked on some games, especially the Dragon Ball Z games voicing the character of Bulma which she voices in the movies. Her first love was stage acting; voice acting was a detour that has made her a wealthy and much more popular actress. Rial has however expressed a desire to return to the stage and revive the career she once left behind.